So I've seen the inflationist response to my point about the Death Star and its crystal power amplification, and, to put it quite simply, Young has again exposed his inflationist "fanaticism" (to use his favorite descriptor for those who disagree with him) in relation to Star Wars. Since the Death Star yield was used as evidence of density, it is pertinent to note that the new TCW story reels recently released demonstrate that the weapon yield was tremendously amplified via the use of kyber crystal(s), which are themselves not especially dense. Literally, minimal input produces tremendous output. It violates all sorts of stuff, but there it is in the canon. It even seems to vaporize people like a phaser, and shows the planar effects we've come to expect. "Out of the stories of old, this crystal comes. Long ago in forgotten times when the Sith and Jedi fought for control of the galaxy. Weapons, there were of unimaginable power. Always at their heart, a Kyber Crystal was just like the one you described." 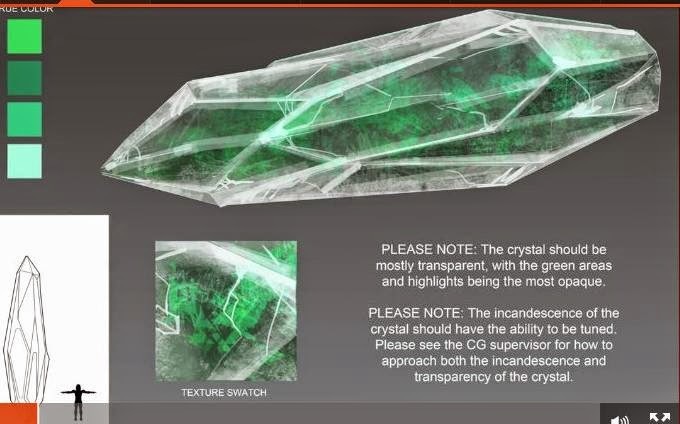 More on the kyber crystal's effect is found in this thread at StarfleetJedi.Net . . . especially look for Lucky's post with extensive quotes. Basically, as I state there, "short of an Adult Swim scene of Palpatine cursing into the phone about the delay this was gonna cause to the Deathticle (not to mix my metaphor there), it couldn't have been more clear." "And just to make sure the point is clear, even if you are feeling charitable and grant your local inflationist's claim that the Death Star was a DET weapon, said inflationist still cannot have a reactor that generates energy commensurate with the yield, because of this crystal power amplification whatzit." That's the final nail in the coffin of inflationist claims related to the Death Star, fellas. I proved long ago that it was not DET . . . I theorized it was a Superlaser Effect related to some sort of hyperspace energy tap. Now, we have a crystal as the medium for that (assuming the energy comes from hyperspace and not just thin air). Without DET, you cannot make a claim about the reactor energy which you then scale down to ships. Without DET, you have no recoil argument, nor any clear indication of the amount or velocity of debris that are claimed to have hit the Death Star offscreen (over and above the odd debris trajectories and effects noted in this thread), and thus no shield argument. The only other thing left that I can think of is the claim of Death Star acceleration at Yavin, but so far as I recall there are no actual solid numbers for that. Put simply, even moreso than before, inflationists have nothing to work with here . . . even if some other desperate argument is available, the preponderance of evidence is clear. The Death Star is a fusion-powered battlestation capable, thanks to one or more massive kyber crystals, of destroying a planet. That is all. It does not equate to megaton blasters or any other scale-down effort. The Death Stars will forever own the versus debates because of what they can do and the massive industrial capacity they represent, but even if inflationist claims could be taken seriously before "The Big Bang", they cannot after. 1. We don't know what the crystal was intended for. 2. This isn't canon anyway. Let's respond to those in order. The first is just an effort to play dumb. We know from Attack of the Clones that they had the Death Star plans at the start of the war, we know from the end of Revenge of the Sith after the war that construction was in progress, and we know from A New Hope that the Death Star was 'a weapon of unimaginable power', to borrow the phrase from Yoda. We also have all the assorted effects that this crystal and the Death Star exhibit in common. It is, quite simply, mere denial to argue that the pursuit of a massive kyber crystal during the war was unrelated to the Death Star. That makes about as much sense as suggesting the biochips in the clone brains as seen in TCW's sixth season were unrelated to Order 66, or that we wouldn't know who the devil those twin babies were at the end of RotS had Amidala not explicitly said "Luke" and "Leia". I suppose one could make an Occam-esque argument here, too . . . after all, despite the joke about the EU's old Superweapon-of-the-Week addiction, the fact is that in canon the only known huge-mongous weapon being pursued by the Empire was the Death Star, and when that one was blown up the only other known huge-mongous weapon being pursued by the Empire was yet another Death Star. Seems to me that, denials aside, the only logical conclusion is that it was for the Death Star. Brian, in his prior video (Q&A 18), attempted to argue that these were no better than deleted scenes, claiming they were deleted/unfinished "for a reason", as if to suggest that it was decided to scrap these out of some quality concern or what-have-you. Of course, everyone knows it was due to the Disney buyout, which left TCW on an opposing network with all the contractual obligations that entailed. It's no more complicated than that. Beyond that, though, we have Pablo Hidalgo at about 90 seconds in on this "The Clone Wars Legacy" video from StarWars.com. After having noted in the first few seconds that TCW was very important as it represents the last expansion of the Lucas universe by Lucas, Hidalgo talks broadly about the three sets of episodes that were unreleased from the sixth season, with one of those being the Crystal Crisis arc. Hidalgo notes that "even though those Clone Wars episodes did not get publicly revealed, we still look at their core stories as having happened." Many of those tales are being released in other forms, be it the Darth Maul story in comic book form or the continuation of the Ventress story in novel form. However, it was decided to release the Kyber Crystal arc as-is on StarWars.com, primarily . . . as Pablo notes circa four minutes in . . . because the voice actors had already done such a wonderful job, and any alternate method (e.g. a novel) would leave that work lost. Anyone who watches the episodes knows this is very much true, if for no other reason than Anakin's "oops, I broke it!" Finally, just like anything else released in the Disney era, if it isn't said to be Legends then it's the real deal. As Pablo says about six-and-a-half minutes in, "we're at this point in Star Wars history -- which is a great place to be in but it comes with its own set of challenges -- where we're on the cusp of telling all these new stories, and having them really be integral to the canon as we're going forward." They chose to release this. They consider it as having happened. We can give leeway to the visuals, but that doesn't mean we must strike ourselves completely blind. His desire is to paint himself as the voice of reason and science and his so-called "obsessed" "full of hate" "fanatic" foes as people who argue for magic and fairy dust (which they very well may be snorting). In and of itself this is not necessarily a sin, but it becomes mere sinful arrogance when one fails to employ scientific reasoning. You can't claim to be more-scientificcy-than-thou if you don't execute on the basics. Anyone with Google can regurgitate sufficient scientific concepts to get by in this particular endeavor, but actually thinking through the issues logically and with a view toward actual science is the trick that so many fail to master. Merely paying lip-service to the scientific discoveries of others and then making claims from them willy-nilly is not good enough. Or, as I said in the recent Jedi Crash post, "Those who prefer to ignore the canon in favor of cherry-picked elements of it and mix those with claims of rigorous science will no doubt have issues with the conclusions here, but the first step in any scientific investigation is to observe the universe." "Third, claiming the scientific high ground is audacious, but wrong. The problem with that point of view is a very old one I've brought up many times before . . . indeed, this has been the inflationist problem for a long time. This isn't ghost-hunting, UFO nonsense, creationism, quasi-religious numerological nonsense, or any other pseudo-scientific claptrap where the "evidence" itself is properly presumed false. We are pretending here to actually be watching documentary evidence of another universe, one which we can clearly observe to have certain technologies and capabilities far beyond our modern comprehension. The universe itself features a separate spatial domain we've never even heard of that allows for fantastic velocities, for instance, not to mention mystical energy fields that violate time and space. And yet, rather than accept that in this context we are stupid and should behave accordingly, not being too overbold in our assertions, some people think it best to ignore most all evidence in favor of our modern, limited comprehension of our own hyperspaceless, Cosmic-Forceless, Living-Forceless, Floating-Island-less, Crazy-Masked-Chicks-less universe. That's awfully silly. Can you imagine Ben Franklin watching a documentary of modern electrified life and outright rejecting pieces of what he sees because he can't imagine how they might work in reference to some of his pet theories about keys and kites? Or showing a car to someone who has no conception of gasoline and thus concludes the car is ultra-light and has bicycle pedals, rejecting all evidence to the contrary? The moment we start ignoring canon because we think we know real science and thus don't have to listen to that pesky canon thing anymore, we undercut the entire enterprise of analyzing a sci-fi universe. And, of course, at that moment we're just talking about our assumptions plus a few scenes from Star Wars we've deigned to bother discussing. Suffice it to say, that's not Star Wars anymore. The sci-fi universe the inflationists have created is nifty and might even be entertaining to watch, but calling it Star Wars is just unoriginal, and the Star Wars I can watch on blu-ray and Netflix, featuring nary a gigaton not fired by a Death Star, doesn't look anything like their version. Finally, a person isn't an idiot about physics merely for disagreeing with the inflationist point of view. If we set up a battle of canon versus crap-you-think . . . well, we're talking about Star Wars, so you lose, immediately and without mercy. The claim that physics might require certain things is an entertaining note of one's opinion, but does not override the canon facts for the purpose of this exercise. If it's canon that 1+1=3, everytime and everywhere, then it's canon in that universe . . . you can't just ignore it. If you don't like the universe anymore because of it, then that's your prerogative. But if you're analyzing the facts of the universe . . . well, that is one. Case in point . . . you know and I know that hyperdrive and transporters are impossible, and yet we accept them as canon facts of the universe instead of rejecting them because of their physical impossibility. The correct role of one's local astrophysicist fanboy at that point is to take his knowledge of science and use it to explore and discuss ways in which the canon reality could be possible, or point out where to our knowledge it just couldn't be. If the conversation turns to power requirements, then the correct behavior is to discuss it in terms of the known power technologies, not make up new ones. And if the stated fuel supply is inadequate, then we simply acknowledge that and move on, maybe going and finding a harder sci-fi universe to play with if that sort of irregularity pisses us of too much. That would be both educational and highly respective of the universe being discussed. This is the tack I take with Star Trek and Star Wars, but inflationists do not. I've noted many times and in many ways how Star Trek and Star Wars have elements that don't make sense, and I'll continue to do so. I take the universe for what it is, warts and all, and try to rationalize it, taking all the evidence and deriving a consistent whole. Brian talks a good game about how to treat a universe being analyzed, noting that it is only loony fanatics bent on winning Vs. Debates who would seek to ignore the truth about their preferred franchise, but seriously, if that were so, this video would not have been made. He just explicitly rejected a non-contradiction and defended use of a directly-contradicted scene. The way I figure, direct contradiction is obviously wrong. Something running contrary to a load of assumptions forced onto Star Wars is not. Put simply, inflationism was born from a perceived need for Star Wars to beat up other sci-fi universes, not from Star Wars itself. Some would say, though, that love of a franchise would best be served by respecting the franchise. Indeed, I think Brian has paid lip-service to that idea at some point, himself. So where should normal Star Wars tech fans draw the line? At what point do we decide "okay, here is where we start rejecting what the result of the combined effort of the writers and designers and artists involved tells us about the universe . . . indeed, what the universe tells us about itself, the rules of its game . . . and instead start injecting our own sensibilities." As far as I'm concerned, that should be a very rarely used maneuver, preferably in situations akin to a total blatant one-off error, like if Luke's lightsaber suddenly emitted its blade from the side or something. Perhaps at some point I'll try to concoct a logical list of how to deal with such issues, since so many people obviously just fly willy-nilly in that regard." He declares that arithmetic and Einstein's equation are universal, without an asterisk, and that thus the crystal itself must be super-dense to be providing all the energy observed. Now, please do stop and ponder the fact that a guy arguing about a show depicting superluminal travel has declared that there are no asterisks in relation to Einstein's equation. Oops. I guess the characters are all lying and really old due to time dilation and the aeons of travel but all are flitting about at the same relativistic speed offscreen all the time to keep up appearances? Back to the point, he's trying to tie it in to the earlier fuel density argument he lost. The problem, of course, is that there is absolutely zero evidence that the crystal is any denser than we might expect any ho-hum crystal or other solid object of that size to be. Further, he presumes that the added energy must all be stored in the crystal, as if it is a battery. This is also wrong, on par with assuming that copper itself generates electricity rather than being a conduit for it. This is actually quite strange on his part, since he states at one point that it doesn't matter what your energy source is, whether it is fuel, a crystal, or the Force. And yet, Force-users are mere conduits, so it would seem, unless he seeks to claim that Jedi have a weight problem. Finally . . . and this seems extra-sinful for a big football fan like him . . . he tries to move the goalposts in regards to his claims of uber-dense fuels. Though Brian himself hasn't brought up the tachyonic nonsense that I recall at the moment, and neither has Clonetrooper Vince, both suggest that the fuel should be more massive than the ships by orders of magnitude and not taking up much volume (which means helluva-dense). And yet, as noted previously on this site, on this blog, and in the aforementioned thread at ASVS.org, the reality is that Star Wars ships and vehicles use flammable liquid fuel, demonstrably of a low density akin to that of water. All that is merely to point out the goal-post translocation effort Brian engages in when, while trying to argue against the idea that liquid fuel proves anything, he claims that mercury is a dense liquid. Molten osmium wouldn't even satisfy his needs. Saxton suggests the Death Star generated energy equivalent to annihilating 1E21 kg to power the destruction of Alderaan. For natural things of that mass, that would literally be something the size of a moon like Charon, an asteroid like Ceres, or the mass of Earth's oceans multiple times over. However, even if the Death Star was a giant gas tank, its 9E14 volume means that you'd be looking at having to store fuel with a density of about a million kilograms per cubic meter. That's only about 150 times denser than solid iron. Brian wants us to believe that some of this energy is constrained even further and stored as mass in the kyber crystal, which would probably just about give it a notable gravitational pull all its own. By analogy, this is like arguing that the existence of a ten-dollar bill somehow proves that a trillion-dollar bill exists, or at least that this is an adequate retort to those hate-filled, obsessed, anti-trillion-dollar-bill fanatics who reject the existence of any bill larger than a $100,000. In short, that's utter nonsense. There is no evidence that this kyber crystal, considered astonishingly large for one in-universe, has more mass than we would expect for any similarly large object. Certainly the antigrav that carried it (and whose batteries were thought to possibly be not up to the task) behaved like one would expect for a simple large stone, not to mention that the speeder used to pull it wasn't blasting out tons of thrust. He notes that small kyber crystals are employed in lightsabers as seen in TCW, though he ignores the non-super-dense behavior from the relevant episodes. Seriously, at 150 times the density of iron, even a tiny shard of a crystal would be interesting for a child to pick up and toss about with two fingers. Assuming a cubic centimeter of volume, the shards would weigh over a kilogram, which would be like picking up a one-liter bottle of beverage by a tiny, sharp outcropping and two fingers. He also misses the fact that small kyber crystals serve a role in relation to data storage devices, again with no obvious high density. Further, he doesn't notice how the backwards guys who'd found the crystal had chosen to suspend it from the ceiling in their rickety base-ship for storage purposes. That's generally not the first choice of people dealing with super-dense objects in rickety locations, especially when their only observed antigrav cart was the same one that could barely deal with the crystal when used by Anakin and Obi-Wan, who'd had to use the Force to get it down to begin with. But perhaps his most annoying claim . . . and you can tell when he's trying to BS you (or at least himself) because he giggles . . . is when he attempts to claim that Amidala noting that Anakin's lightsaber is heavier than she thought it would be is somehow evidence of this super-density. Ugh, again. She probably would've said the same thing if she'd always seen Anakin effortlessly wielding a pistol like the over-a-kilogram US Army M9, but that doesn't mean that the magazine is super-dense, either. Wrapping up at this point, the last detail I want to make note of is that Brian acts like his ICS apologetics videos are valid, such as in reference to his peculiar acceleration claims. In fairness, as I have not completed the write-up of everything wrong with them, he presently has the luxury of making such a claim with a relatively straight face. However, given that I've already nullified two of his strongest examples and shown the logic of how to do so, seemingly even giving Vince pause in regards to them, it should be fairly obvious, even to Brian, that there's a storm on the horizon. My advice? He should stick to B5. Seeing you and Brian Young have a few formalish debates would be interesting.